Please let me know where I can get this book. This book can br purchased at booklocker.com today and soon on this site. Thanks for your inquiry. Enoch was a friend of God . In fact Enoch walked with God and was taken, Enoch didn’t die. Enoch is mentioned in the bible. You need to study more before you comment. But thanks for your comment. Thank you for your desire to serve our SAVIOUR! I look forward to God’s final plans for mankind. Those who are saved by the precious blood of the Lamb, Jesus Christ will face the LOrd as Savior, not as Judge. An in your face bible prophecy and no one is saying a word! An event in human history as worthy of knowing as the parting of the Red sea for the Jews to cross over is happening before your eyes and no one is even mentioning it! WHY? Allowing Muslims to migrate anywhere other than a Muslim country is a big mistake. Most people do not read the bible so here is what you need to know about Muslims and Islam. Most people are not aware of what is taking place historically with the Muslim migration. If you would go to KJV Revelation 6 and read the whole chapter you will find these highlights. KJV Revelation 6:8 And I looked, and behold a PALE HORSE: and his name that sat on him was DEATH, and HELL followed with him. And power was given unto THEM over the fourth part of the earth, to KILL with sword, and with hunger, and with death, and with the beasts of the earth. Black horse = Capitalism, White horse = Catholicism, Red horse = Communism, PALE HORSE = ISLAM. I can’t imagine a pastor not telling their congregations what is happening. Deafening silence is all you hear. God placed these prophecies so that we would not be ignorant of the times we are living in. I am telling you this and perhaps you will open the door to further study of the scriptures that will impact your lives in these end of the age years. The President is one of “them” and is comfortable with bringing his satanic brothers into this country, but you, are you comfortable with subjecting your family to these savages? If we lock the door this madness will not come to America. Personally I wish no harm to come to my family or yours and will do whatever necessary to combat this. How about you? these Islamists to our shores. Go to http://www.thejudgmentofbabylon.com and click on Buy book and you can either order E Book or Hard Copy. Thanks for your interest you will not be disappointed. Also check out the book at http://www.thewatcherslive.com You will not believe what you haven’t been told and you will be amazed. “God the Father” told Daniel in Daniel 12:4 to seal the words till the end times. Are we in the end times? This is August of 2016 and according to the scriptures we have till 2028 as a maximum time for the return of Jesus. Back up material for all said here is in the “The Judgment of Babylon book”(TJOB). WE ARE IN THE END TIMES!! In my endeavor to find America in the bible my first thoughts were America has got to be there. I could not believe that God in all his wisdom would not place the greatest country on earth in the bible. My thoughts were successful and after many years of study I completed the course so to speak. I found America and at the same time opened the seal to the words that 2300 years ago “God the Father” told Daniel to seal. All teachers, preachers and theologians will tell you America is not in the bible. That’s just not true as what I have uncovered is nothing short of amazing. When Daniel sealed the words he not only sealed when the last seven years starts and the rise of the greatest nation on earth America but also the date of its fall and the date of the rapture along with the other events listed in Chapter 12 of Daniel, the date when the two prophets will be killed and brought back to life. All, timing that has bearing on the last seven years is in scripture, so how was it sealed? Hard to believe but the very thing that gets everybody upset when you talk about it, and what would that be? “The timing” Daniel 9:27. Israel will receive a seven year treaty by war or negotiation that will start the last seven years. Incidentally this treaty or confirmation of the covenant will happen “no later” could be sooner, than 5-14-21. I believe this treaty could happen in 2017. Why 2017? Trumppence = Trumpets “The Art of the Deal”. This is no coincident as God has his hand on our nation, He is warning us to be ready for the things to come. In Matthew 24:22 God said He will cut the time short for the sake of the elect thus my date of 2017. The birth of Israel as a nation 1948 plus 80 generation years less the last seven years.) The “date” of this treaty or confirmation is the start of the last seven years. To view this time table go to chapter 12 of the (TJOB) book The Time Table And the Incredible sevens. You will be amazed. This prophecy is huge to say the least as you will see when you view the documents and the “proof” from God that this is His work and not mine. One prophecy begins with “preach the gospel” a clue on America I never recognized till I had found this amazing warning he has given the Christian’s and our nation. I am simply amazed at how he covered this so billions could read over, and not read over it once, but millions of times. Simply amazing! The Judgment of Babylon book will lead you through this amazing prophecy and show you where to find in the bible. It’s not hard to find or follow when you have the key. Jesus said, no man knows the day and the hour of His coming “only my father knows”. I say to you, God the father authored the book of Daniel. “God in flesh” wasn’t present yet. It’s strange how no one picked up on the statement “only my father knows” and searched the Old Testament.. So correct in every way. God the father had already sealed the words before Jesus arrived . There is no way anyone could set a date for Christ return without unlocking the seal God placed in Daniel 12. Note; any statement here is backed in the (TJOB) book and can be easily found in the bible. I encourage you to purchase your book at http://www.thejudgmentofbabylon.com and while there read the article on Gods perfect and completion number by Michael Hoggard it will open your eyes to the proof of the prophecy God had sealed for some 2300 years. The proof of authenticity is in Gods perfect and completion number the number 7. Thanks for reading. I understand the words of Revelation 22:18-19 very well. Perhaps if you could learn this well enough you could approach your pastor with this information. Be one of the first to know what and when the events will happen in the last 7 years. Be prepared for a putdown though as you will be criticized by those pastors and theologians that will not take the time to check this out. When the confirmation of the covenant is confirmed all the dates for the last 7 years of events will be listed on our web site. If you do not have a relationship with Jesus Christ I suggest you get with it! While everyone is mulling over the election and just what happened they are missing the start of the most historic event in human history, and what might that be? The possible start of the last 7 years and the return of Jesus Christ for His church. Probably some of you have never heard of the trumpets in the bible. Found in the book of revelation these trumpets are warnings to be ready for his second coming, There are 7 of them to the time of Christs return. 6 of these trumpets have already sounded and we are on our way to the 7th at the time of the sounding of the 7th, the church, better known as Christians will disappear from this earth. A better word would be removed. These 7 trumpets are warnings from God for all to prepare themselves for His coming an event unlike anything that has ever happened in human history. Why am I saying all of this? Well, there’s also a “last 7” years leading to the seventh trumpet and this sounding will not be recognized by most including Christians. In most people’s mind this will be a coincident and not something tangible. This sounding is so in your face but wait a minute have you studied your bible, have you studied any prophecy? If you haven’t you will probably miss this. I know several people that haven’t a clue. Here is the sounding TRUMP/PENCE or TRUMPETS, I even almost missed this until my sister asked me about the trumppence I admit I must have been asleep at the wheel. When I awoke I was off and running. The last seven years will start when Israel and the Palestinians reach a peace agreement that is a 7 year agreement. The date on this agreement will start the last 7 years. Seems kind of simple right? Well, not so as every year since the founding of Israel in 1948 someone has been trying to get a peace agreement signed between these two factions. I have known of this 7 year treaty in the book of Daniel, Daniel 9:27, for many years and have thought that this treaty would be only capable from war. Israel would defeat their enemy so badly that they would get a seven year agreement stating their right to the land they occupy. Well as usual I now believe God has other plans. His protection over the state of Israel is so very apparent that you just have to sit back in wonder of the mighty power He holds over Individuals and nations. TRUMP/PENCE Trumpets who would have thought, The Art of The Deal? Is it possible Trump will make this deal? According to Breaking Israel news Trump is eager to make the “ultimate Deal” between Israeli’s and the Palestinians. Looks to me like God has it all under control. Is it possible that Trump is appointed to usher in the last seven years? I certainly believe so and this treaty could very well happen in fall of 2017 thus placing the rapture of the church in 2024. God wants you to know these things as He has given us the timing for all events in the last 7 years which are listed in my book chapter 12. Most people have thought they would be raptured prior to the last 7 years. There is no place in the bible that says that, period. There are scriptures that say you are raptured or reaped at the last trump which is the 7th and final trump. You are going through the seven years of which the last 3.5 years will be tribulation. What you are not going through is the period of ,Gods wrath, provided you have repented of your sins and have been baptized by full emersion in water baptism. TJOB 83 The Last 7 Year Warning; Trumppence =Trumpets? IS THIS A WARNING? YOU BET! In the bible and alluding to the last 7 years and specifically the middle of the last seven, why is America the only nation that is warned in 3 different books of the bible? Think about that for a minute! Daniel chapter 12:6,7 and 8, Revelation 14:6-13 and 2 Thessalonians 2:7 and 8. “God loves America” as America has carried the gospel to the nations more than any other nation on earth. Why is Trump going to carry the banner for America in these end times? “Trump loves America”. God appointed Trump and I believe he is to carry the banner to the 7th trump the rapture of the church. Trump/Pence is a warning to get ready for his return. Here is what is happening that you need to know. There is no way Trump Pence could have lost the election as God is sovereign and appointed these two men to usher in the last 7 years. I believe and its more than likely this last seven will start in 2017 and I say this from all of the information I have gathered over the last 20 years. More information in the (TJOB) book. Why the 7’s? Gods perfect and completion number. Trump will be 70 years 7 months and 7 days old on the day he takes the office of the President of the United States. Trump/Pence, trumpets? Who could have made this up? “Only God” and only some Christians will understand it. There is no mistaking this as a warning sign. Something God does well He informs His people prior to major events. Look at the warnings of trumpets 1-6 and wait till you see the time chart. This event of Daniel 9:27 will be in the Israeli year of 5777 and will be in our calendar year of 2017. Trump has been very successful in his business dealings and has written a book “The Art of The Deal” Is it possible he will make the peace agreement between the Israeli’s and Palestinians? According to an article I’ve just read from Breaking Israel News, he is quite eager to tackle the Israel/ Palestinian problem and this would be the biggest deal made in history if successful and as he takes office on 1/20/2017 I perceive he will have a treaty completed and signed by fall of 2017 thus starting the last 7 years and fulfilling the prophecy of Daniel 9:27. Could it be at a later date? 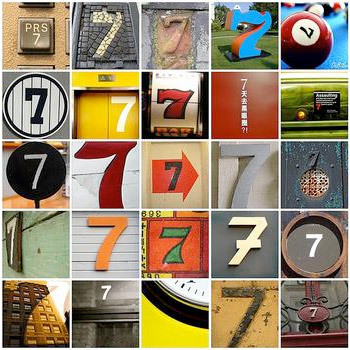 Yes, but I’m seeing a pattern in sevens. It would be exactly 110 years from the first trump and less seven would place the start of the last seven at 2017. God gave Noah’s generation 120 years. This is more than we could have comprehended as my thoughts were that Israel would receive this treaty through war. Praise the Lord, looks like it may not happen that way. If Trump can make a deal in 2017 the last seven would start, making the rapture in 2024. Matthew 24:26 states though that He will shorten the time for the sake of the elect otherwise no flesh would be saved. Thus the 2024 date in leiu of 2028. Prepare yourselves, your family and friends as there are too many warnings to not take heed. GET READY FOR THE SECOND COMING! The second Temple is on the drawing boards and will soon be constructed. It would be a good time now for you to get familiar with the topic of 7’s and how God views them. The times coming are going to be traumatic to say the least and if you’re not prepared you may miss the boat. If you do not have a relationship with Jesus Christ I strongly suggest you get with it.